A Driving Under the Influence, “DUI” with Drugs offense in Las Vegas, Nevada is a Misdemeanor for a first or second time offense within seven years, but would be charged as a Felony if it is a third or more time offense within that time frame. The prosecution has two theories that they can use to prosecute an individual for a DUI with Drugs. 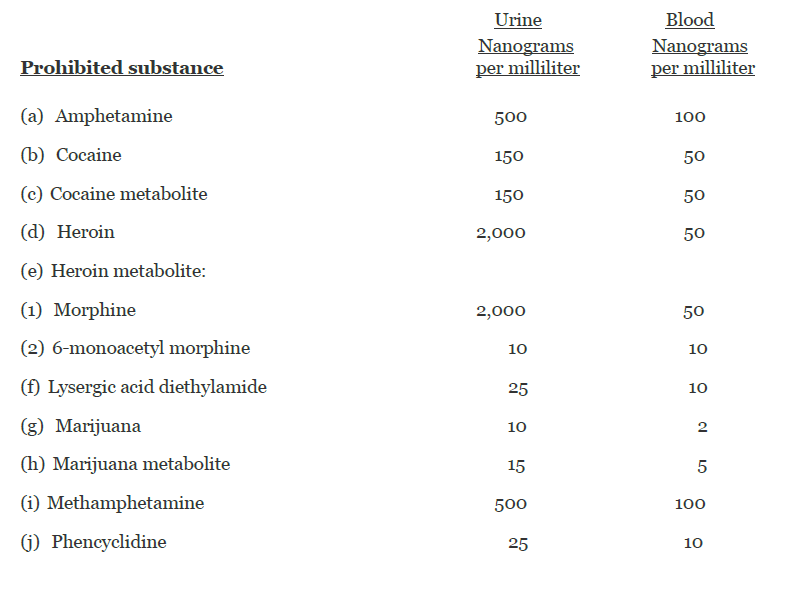 First, is the “prohibited amount theory”, similar to DUI with alcohol, illegal narcotics have a prohibited level, and if you are arrested for a DUI and a drug is found in your system that is equal to or exceeds the prohibited amount, you are deemed to be “per se” under the influence of that drug. Nevada Revised Statute “NRS” 484C.110 Section 3, details the prohibited amounts by law. Secondly, you can be charged under the “impaired driving theory”. Under this theory, there is no “per se” prohibited amount of a drug. Any amount of drugs, whether illegal narcotics or legally prescribed medication, can be used against you to prove you were, “impaired to a degree, which rendered you incapable of safely driving, or exercising actual physical control of a vehicle”. For example, if Henry causes an accident, the police arrive, he fails all of his field sobriety tests, and admits to taking Nyquil an hour before the accident, the prosecution could argue, regardless of what amount of Nyquil was in his system, he was impaired, and incapable of safely driving, and should be charged with DUI Drugs. It is important to note, just because a medication is legal and available over the counter, such as Nyquil, it does not absolve criminal liability. Meaning, if the prosecutor believes they can prove Nyquil impaired your ability to safely drive, they will prosecute you for DUI with Drugs. The consequences of a conviction for a DUI with Drugs range depending on the facts and circumstances of your case and your prior criminal history. If convicted of a 1st or 2nd offense, the Judge is required to sentence you anywhere from 2 days up to 6 months of jail, a fine of up to $1,000, and DUI educational courses, such as, a Victim Impact Panel, DUI Class and a Coroner’s Visitation Course. Additionally, you can be sentenced to attend a court ordered drug and alcohol evaluation by a licensed substance abuse counselor, who will assess you for drug and/or alcohol abuse. This substance abuse counselor will then create an evaluation which will be presented to the Judge. The Judge will use this evaluation in determining what additional counseling may be necessary, such as, random drug tests, and group or individual counseling for up to one year. If these penalties weren’t harsh enough, if convicted for a 1st or 2nd time DUI with Drug Offense you are not eligible to seal your criminal record until seven years after your case is closed. If you are convicted of a DUI with Drugs offense for a third time or more within seven years, you would be charged with a Feloney and face a mandatory 1-6 years of prison, with no eligibility for probation. Unfortunately, DUI with Drugs are very common in the Las Vegas Valley, and all local police agencies are instructed to make an arrest if they have reasonable suspicion that you are under the influence of drugs and/or alcohol, while driving or being in actual physical control of a motor vehicle on a public roadway. Once arrested, the Police Officer or Nevada Highway Patrol Trooper will take you to jail, where they will force you to submit to a blood test, which will be used as evidence against you in your criminal case and DMV Administrative Hearing. DUI with Drug offenses are vigorously prosecuted and a conviction can have dire consequences. A Driving Under the Influence Offense is the only crime on the books in Las Vegas, Nevada, where a prosecutor must have “legal cause or reason” to negotiate a DUI charge down to anything less than a DUI, such as a Reckless Driving. Meaning, a prosecutor can’t, and won’t, offer to drop your case, just because this was your first time, or you are a good person. Additionally, if charged for DUI with Drugs, the prosecution can also charge you with Felony Under the Influence of a Controlled Substance, if a prohibited substance is found in your system. 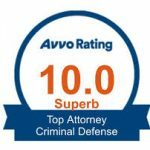 That among many other reasons is why it is vital to hire Las Vegas DUI Defense Attorney Michael A. Troiano. 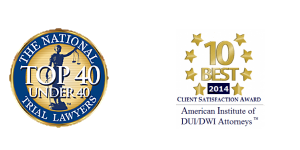 With his extensive knowledge and experience in DUI Defense on your side, he will discuss all defenses available for your specific case and keep you well informed of the entire process of your DUI with Drugs criminal case in addition to the DMV Administrative Hearing and your driver’s license privileges.